Sell My House FAST in Kansas City. Sell Your Property FastNeed To Sell Your House Fast? We Buy Houses! Do you have a Kansas City property you want to sell? If so, you will likely want to save money wherever you can! In our latest post, we will help you learn how to save money when selling your home in Kansas City! Selling a Kansas City house the typical way can get expensive! Before you know it, you will have a stack of bills before the property is even listed. Make sure you consider all selling method before signing a listing agreement with a local Kansas City real estate agent. In some cases, it may not be the best decision from a financial standpoint. Consider all of the costs of a Kansas City listing before signing any agreements. Make sure yo are making the smartest decision for your Kansas City house! An agents commission can be upwards of 6% of the final sale price. If your house sells for $200,000, your agent will be entitled to $12,000. That is a huge chunk of cash if you are looking for ways to sell your house that don’t cost an arm and a leg. In addition, many agents will have other costs they tack on such as marketing, photography, administrative and printing costs. If you do hire an agent, make sure you know what is included in their service and what you will be paying extra for. By selling your house as-is to a local investor, you will save not only on commissions but on repair costs too. Not all property buyers are the same. 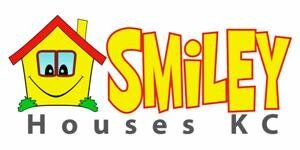 Make sure you are working with a reputable company such as Smiley Houses KC - Smiley Property Investments to ensure a quick and easy transaction. When you work with us, there are no repairs, cleaning, staging, or storage costs. Plus, by selling as-is, you won’t have to worry about negotiations after the home inspection process. Ask any investor, and they will tell you that the longer you own a house, the more it will cost you. Every day you are listed as the owner, you are paying utilities, taxes, insurance and maintenance costs. By selling your house quickly to a local investor, you will be able to immediately start saving by eliminating these costs now instead of months down the road. When you think of all the costs involved in listing your Kansas City house, you will want to make sure that the money you are spending, will provide the biggest bang for your buck. A great listing requires great photos. This will likely mean that you hire a professional to take photos and possibly someone else to stage the property beforehand. The easiest way to have your house overlooked, is to have sloppy, amateur photos of your house. People will see this, and keep on scrolling. Take the time to stage and craft professional photos of your house to get the most interest and the fastest sale. Many houses sit on the MLS because they aren’t priced correctly. Don’t let an agent coerce you into listing at a higher price in hopes of snaring a gullible buyer. Instead, look at what other houses are selling for and price it accordingly. If you find yourself having to repeatedly lower the price, potential buyers will take notice of this as it is public information. You can give the vibe that there is something wrong with the house or that you desperate to sell. For the most successful listing, price the house correctly from the get-go. Andy and Brooks came out to view my dad's house once we decided to get rid of it. They were on time, professional and courteous, and gave us the highest offer of the 6 KC organizations who bid. I was in immediate contact with their helpful title company (who came to my dad's house to close so he didn't have to leave), and it only took 2 weeks from the time we accepted their offer to the moment we had our cash in the bank. Would recommend, would do business with again. "Peter and his team were a pleasure to work with. I contacted Peter after deciding to sell my rental property from a mailer they sent out. They worked quickly and we closed in just a few weeks! Great people to work with and I highly recommend them!" Peter and his team were fantastic! When we had questions, they were there to answer them. The sale of our property was very fast and easy. I am beyond grateful for everything they have done. They are true to their word! We buy houses in ANY CONDITION! We pay CASH and you will not pay any agents commissions. Put your address and email below and get a cash offer in 24 hours! We are a real estate solutions and investment firm that specializes in helping homeowners get rid of burdensome houses fast. We are not realtors, we are investors and problem solvers who can buy your house fast with a fair all cash offer. Please be aware that our company might not be the best solution for home owners who's house is in perfect or near perfect condition. If you have such a house, we recommend selling your house through the conventional realtor route.